The new facility of Dr. Baba Saheb Ambedkar Open University at Ahmedabad is now solarized. 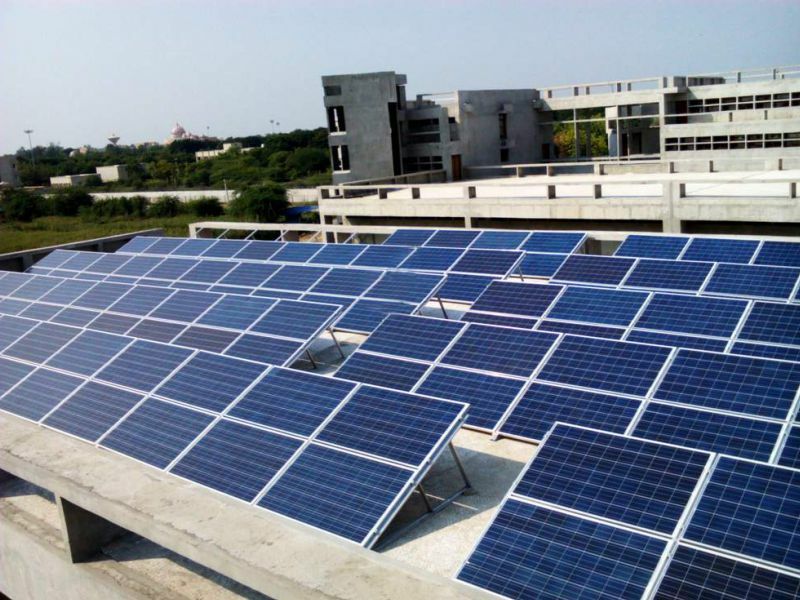 Lubi Electronics has successfully installed 50kwp Rootop Grid-tied solar system at the BAOU. 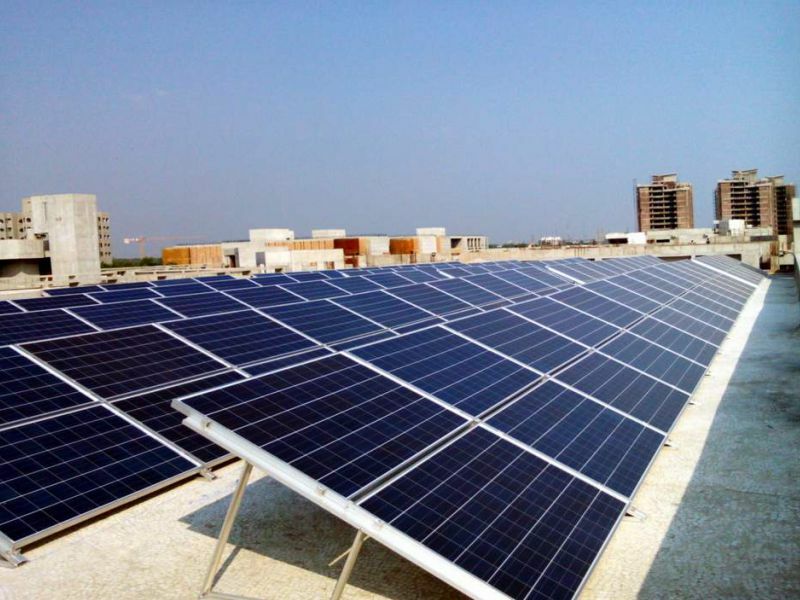 BAOU had floated a tender inviting solar companies to quote for a 50kwp Rooftop Grid-tied solar system. Lubi was awarded the tender based on its technical qualification and commercial bid. The system was installed on 10-04-2015 and has been working maintenance-free since then. The mounting structure is designed using light weight Aluminium with wind speed of 150km/hr. 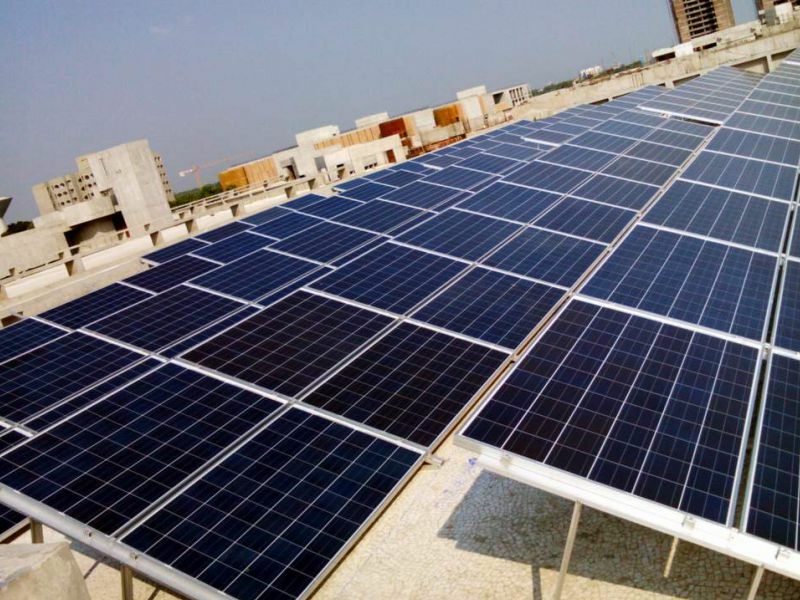 The solar modules used in the project are manufactured by Lubi Electronics and Grid-tied solar inverters are procured from Delta Electronics The solar power plant was inaugurated by Shri Anandiben Patel - CM, Gujarat. The installation done by Lubi Electronics is highly praised by the client. This installation will create awareness and encourage students of the university by educating them to use clean and green energy in their life.